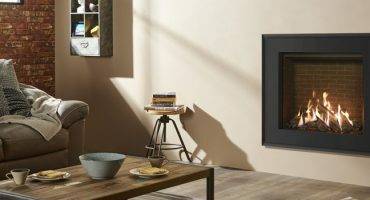 Home » Blog » Posts » Gas Stoves & Fires » All new versatile gas fire: the Gazco Riva2 600HL! The Gazco Riva2 600HL gas fires offer a superbly realistic display thanks to their hand detailed logs, natural rolling flames and non-reflective glass. 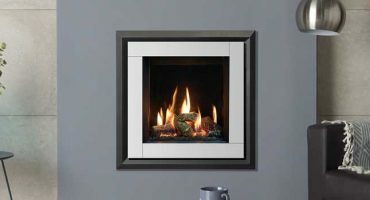 Designed for conventional flue installation, this high efficiency gas fire provides up to 5.3kW of heat, making it a great choice for standard sized rooms, and versatile proportions ensures it works equally well in modern or traditional interiors alike. Ready to install as a stunning Edge ‘hole-the-wall fire’, Riva2 600HL can also be styled with a range of chic frames including glass and steel options. For a more traditional look, pair with one of Gazco’s range of stone mantels for a period fireplace with all the advantages of an advanced Riva2 gas fire. Three lining options let you transform your fire to suit your interior and tastes. The EchoFlame Black Glass lining reflects the flame visuals on all sides to enhance the depth of the flame picture. For a more classical aesthetic, Brick-effect and Ledgestone-effect linings provide an elegant backdrop. The Riva2 range features Gazco’s powerful Programmable Thermostatic remote control, which lets you ignite your fire and adjust the flames from the comfort of your armchair. 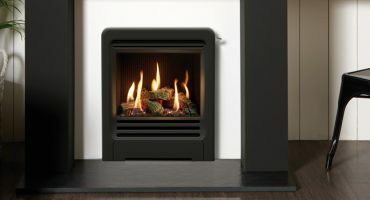 Riva2 fires can also be pre-set to maintain selected temperatures as well as scheduled to turn on at certain times. For more information, please visit your local Gazco retailer.